Making sure learner drivers are given the best possible training is a goal we all want to achieve. Better training equips them for driving safely on their own, and will help reduce the number of people killed or seriously injured on our roads. 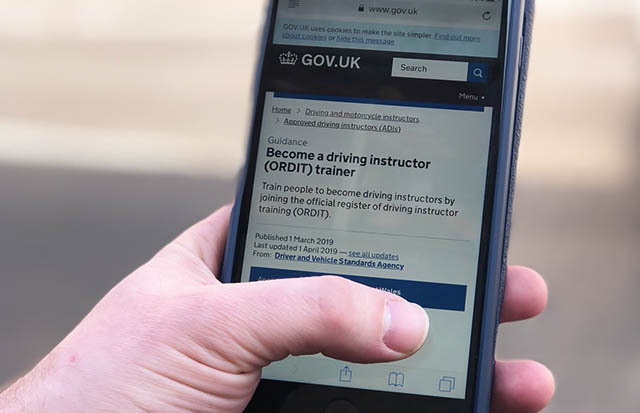 The Official Register of Driving Instructor Training (ORDIT) scheme makes sure anyone wanting to become an approved driving instructor (ADI) is given a solid base of training, to help them teach learner drivers the skills they need. From today (1 April 2019) we’ll be refreshing the ORDIT scheme, to make sure newly qualified driving instructors have been given the right level of tuition and help. I wanted to let you know more about how we made the changes, what they are, and how they will help improve driver training. Why have we refreshed the scheme? The current scheme hadn’t been refreshed since it was implemented more than 10 years ago. 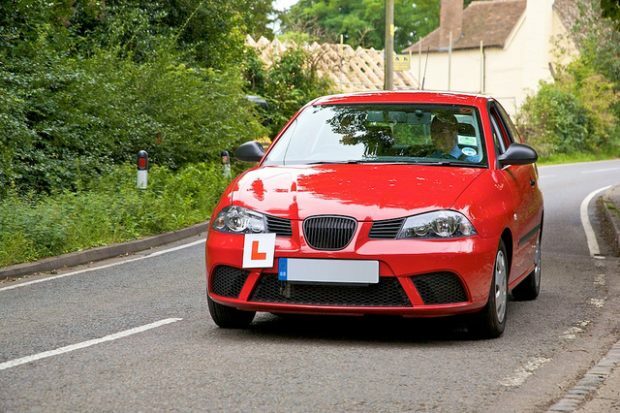 This meant some of the assessments and practises no longer aligned with the National Standards for Driver and Rider Training and the National Driving Standard, from which learner drivers are taught the skills they need. It also gave us the opportunity to provide up to date guidance on joining the scheme on GOV.UK. This is something we hadn’t done before, and I think this a good step forward in preparing more instructors for joining the register by giving them easily accessible official advice and guidance. We started by holding workshops in Summer 2017, which were open to ORDIT trainers, driving instructors and other road safety professionals. These early workshops helped us get an idea of the support for changing the scheme, and areas you wanted to see improved. The workshops also highlighted a feeling that going forward it should be current ORDIT members that were consulted further on the changes. This was because the changes would mainly affect people already on the scheme, for example needing all ORDIT trainers at an establishment to be ORDIT registered and to be an ‘A’ grade instructor. So, in March 2018 we held further events in Cardington with ORDIT trainers. We were able to share our new proposals for the scheme, which had been shaped by the previous workshops. I’d like to thank everyone who came to any of the workshops and gave us your thoughts and suggestions, it was really useful to help us see what you felt strongly about. All of the trainers we spoke to agreed with our rationale behind improving driver training, and fully supported us doing this. There was overwhelming support for us changing the entry requirement from being qualified as an ADI for a year to achieving an ‘A’ grade at your last standards check. You wanted other road safety professionals to respect that you are the best of your profession, and this should help with this. Some of you also wanted us to mandate the register. This would mean only ORDIT trainers would be able to teach ADIs. We wouldn’t be able to do this without changing legislation, which isn’t something we’re able to do right now, but it was good to hear your thoughts on this. It was also interesting to hear you wanted to keep the scheme name the same! So, from today (1 April 2019) the minimum standard needed to join the scheme will rise, to make sure instructors joining ORDIT are of the highest standard. This will mean new instructors are being taught by the best and shown what best practice in the industry looks like. I think this is one of the most important ways we can help drive up the standard of teaching in the industry, helping make our roads even safer. We’ll also be simplifying the registration process and fee structure. This means smaller establishments (with 5 or less trainers) won’t need to pay for an establishment inspection anymore. The new syllabus and guidance on becoming an ORDIT trainer explains more about the changes. These changes are the first step in a series of improvements we're planning to roll out, to support learner driver to be even better prepared for a lifetime of safe driving. ADIs will play a key part in this work - so watch this space for more information later in the year. I think it's right that you need to be an A grade. To train AdI ',s not being An A grade myself J have work to do to attain the credit ability of an Ordit trainer that being said I emeresed myself into coaching to the stage. Of nearly being a life coach , good training on listening skills customer focused and deciding what they want ti do / learn giving them the responsibility and ownership gosh be going into life values next and I'm only an instructor !!!! yes it is, and like all April 1st jokers this is a good one!! As far as the sentiment of the new ORDIT is concerned, it's a great idea. However the sentence that you have included saying, 'to make sure newly qualified driving instructors have been given the right level of tuition and help', cannot be totally correct so long as the scheme is NOT compulsory to train ADI's. Hi I would be interested in talking the ordit course. I think it will improve the Standard of teaching as an ADI my it gives me a goal to achieve Grade A in my next standards check. How about making changes to the national speed limit, it's been over 40 years since and we have much better and safer cars on the road now. I agree with all the ORDIT changes and l think it’s only right that you need to be an A grade in order to train other potential instructors. However l think any grade B instructors shouldn’t have to wait 4 years to have a standard check. There needs to be a opportunity for instructors to apply voluntary to upgrade ( maybe with a small charge ). I would to hear your thoughts. Delivering training to a qualified car licence holder is very different to coaching/teaching a learner driver. I think that to remain an ordit trainer, they should still do the "standards" check to make sure they stay at a level "A", and then do a further check with a different examiner to retain the "badge"
I would like to see this followed up by the DVSA/Part 3 examiners insisting on candidates presenting training records and meeting the trainer before a test. Also there should be proof that a 20 hr additional training form has been completed. There are training companies that cover the 40hrs mostly on line, ‘watch these videos’ and complete these questions. So in reality the PDI only gets about 10 hrs actual in car training in total. Agree with most of the proposals, but think that if you are requiring 100% of Instructors in an Ordit registered company, then you should give the option of an Instructor being able to pay for an additional Standarss test. Otherwise this could put back Organisations or Instructors plans by 4/5 years waiting to be able to attain a grade A.